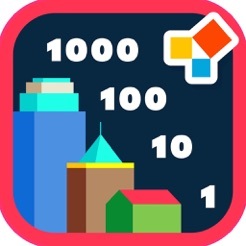 Designed by teachers and Award winning app developers, Montessori Math City is an innovative approach to the Decimal System and Place Value ensuring that children learn to count up to 1000. 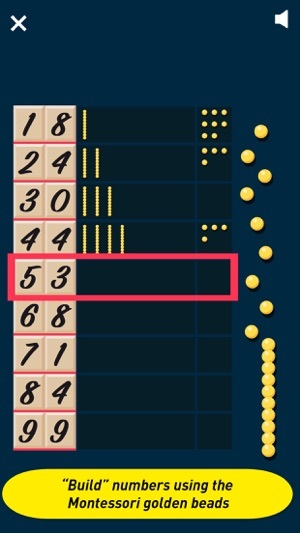 Thanks to Montessori materials like the golden beads or the Seguin (or Tens) board, children will understand that ten units equals a Ten, twenty is 2 Tens, forty five is four Tens and five units…. until 1000! 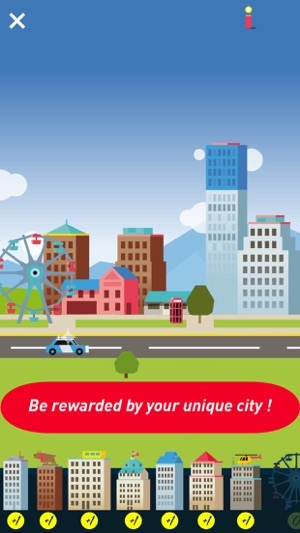 The app is built like a progressive game with fun City items to unlock in each level: cars, ferris wheels, ambulances, houses, buildings. 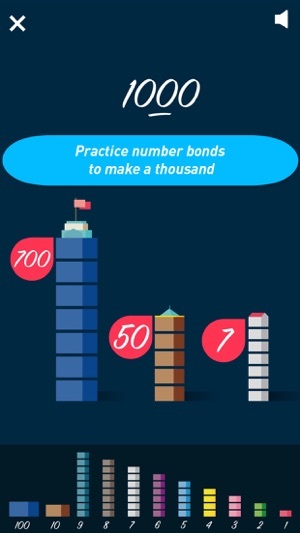 Children practice counting and making numbers, the app rewards them by unlocking items so they can play in their own unique City. • A quiz containing our exclusive Dynamic Progression Algorithm to follow each child’s progress individually for adaptive learning. • A secured "Note to parents" explaining the pedagogy behind the app. • 15 languages: English, French, German, Italian, Dutch, Spanish, Japanese, Chinese (simplified & traditional), Portuguese, Russian, Swedish, Danish, Turkish and Korean. • Universal app (iPhone, iTouch, iPad, iPad Mini). 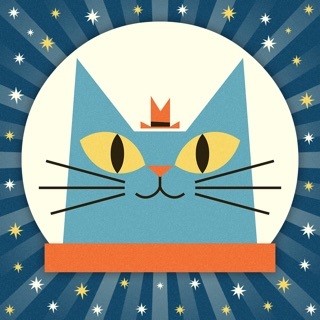 Montessori Math City is part of a suite of apps dedicated to making children understand and love mathematics. Check out our other educational apps: http://edoki.net. It is ideal for children aged between 5 and 7 years old. With Math City's new and improved Parent Zone, parents will find it very easy to track and follow their child's progress, ensuring fun learning for all! My kids use Steve Demme's MathUSee for their homeschool curriculum. But I noticed that my fourth-born was getting confused over the units blocks having different colors. 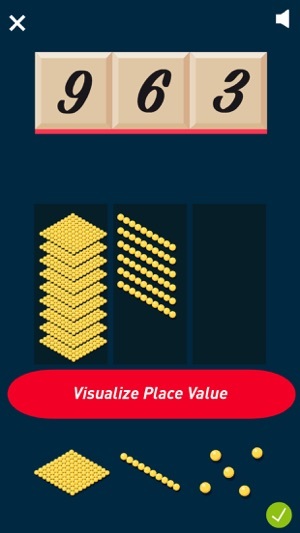 The golden beads used by Montessori throughout ALL the place values in this app have FINALLY begun to reduce her confusion. Plus, it is so much fun for her to build the city that, watching her, my third-born got jealous. So I put the app on the other iPad. I like that the app allows for multiple users, too! 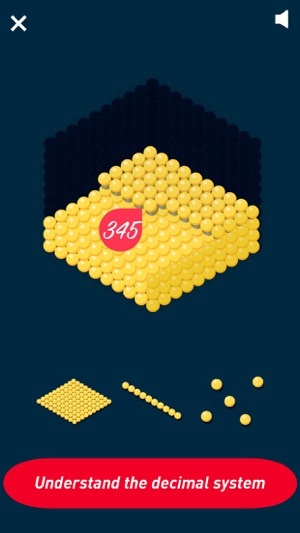 This is a great app to teach children how to count by ones, tens, and hundreds! It is great for teaching number sense. My children are 2 1/2 and 4 1/2 and they are learned well. This is a great supplement. Hello, the categories are locked to ensure progression, they automatically unlock. Please contact us on support@ edokiacademy.com if you have any other question.